You buy one toothbrush. 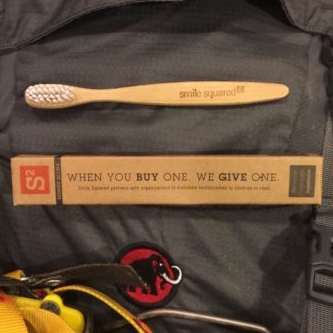 We give one toothbrush. We smile better together. We believe every child should have the opportunity to grow up healthy. A healthy child smiles! Yet many lack basic necessities, like a toothbrush, to maintain good health. We founded Smile Squared on the principle that BIG things can happen through small acts of kindness. 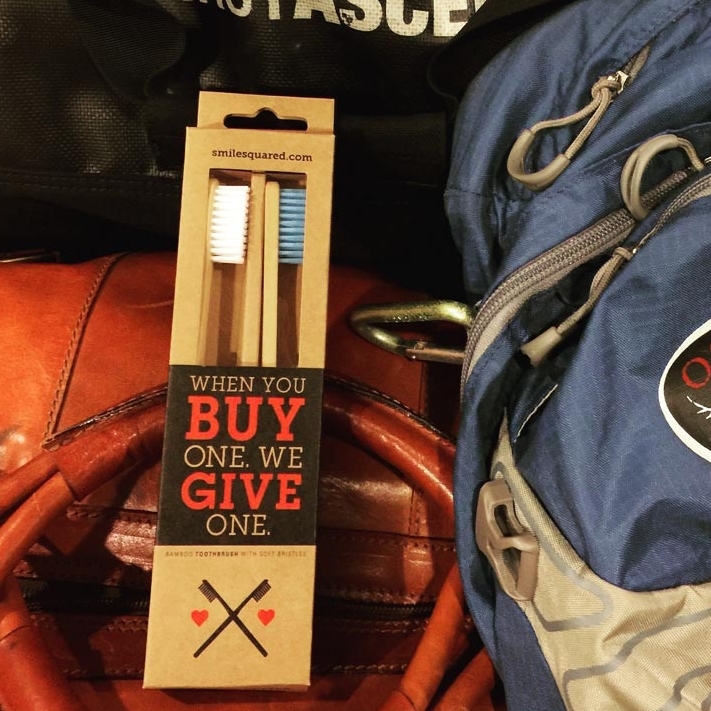 Thanks to our buy one, give one philosophy for our toothbrush program, these small, intentional actions are bringing back healthy smiles of children in all 50 states and in over 25 countries worldwide. Our hand crafted toothbrushes feature an eco-friendly handle made from natural, sustainable bamboo. 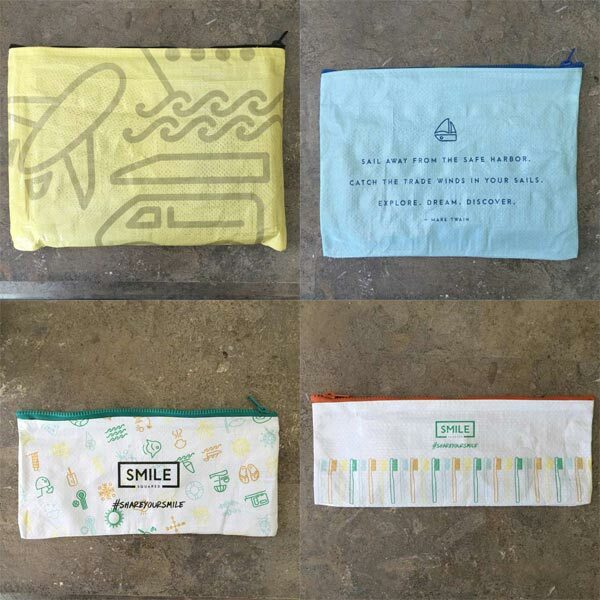 Each purchase of Zach's Bags and Smile Squared Travel Journals help fund wish trips granted to children facing life threatening medical conditions. We created Zach's Bags and Travel Journals in honor of our 5 year old buddy, Zach. He bravely fought brain cancer for 3 years with an inspirational and happy smile. Armed with an adventurous spirit, Zach and his family were granted a travel wish trip to Disney World in Orlando. Years later, the positive effects of this trip are still evident. We believe wish trips like Zach's are an incredible example of the transformational power of travel. These experiences change families forever, while helping the children feel happier, stronger, more energetic and more willing and able to battle their illnesses with a shared smile. Visit smilesquared.com.